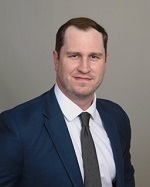 John received his Bachelor’s degree in History from Florida State University in 2013 and his Juris Doctorate from Florida State University College of Law in 2017. While in law school, John received the Florida State College of Law Business Certificate with Honors. He also participated in the Business Law Clinic, where he worked as a certified student-attorney providing legal advice to business and graduate students. John is licensed to practice law in the state of Florida and focuses his practice in the area of insurance defense, specializing in workers’ compensation.